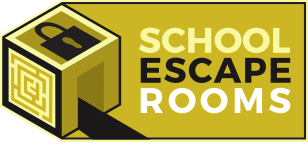 Our Maths Escape boxes were the first topic to be launched when we School Escape Rooms started back at the end of 2015. Since then we have visited many Primary and Secondary Schools. Many of these schools had such a great experience that they booked again for our Maths Escape 2. Our maths Escape covers a range of topics complimenting both Primary (KS2) and Secondary (KS3, KS4) mathematical education. Examples of some of the topics are ordering, weights, coordinates, direction, shape, recording data, visual recognition, transformations to name a few. The Immersive nature of our Escape Boxes encourages even the most reluctant mathematicians to take part and often surprising themselves in the process! We have run our Maths Escape Rooms at many different type of events from maths weeks, national competitions, challenge days, maths conferences and teacher training days. If you have a particular format or agenda in mind please do let us know as we are happy to create tailored events to suit individual schools needs. We also have a mobile escape room van that can be set up with a maths focus. If this is something that interests you please let us know.